Driving from the DMZ area Westward towards the coast, I went through a number of small towns. Kaesong in the south did have a bit of life - and was generally a bit more upbeat than Pyongyang - although there were still very few cars on the street, and it seemed almost deserted, except for a few decorations and people walking around. Driving from the DMZ area Westward towards the coast, I went through a number of small towns. 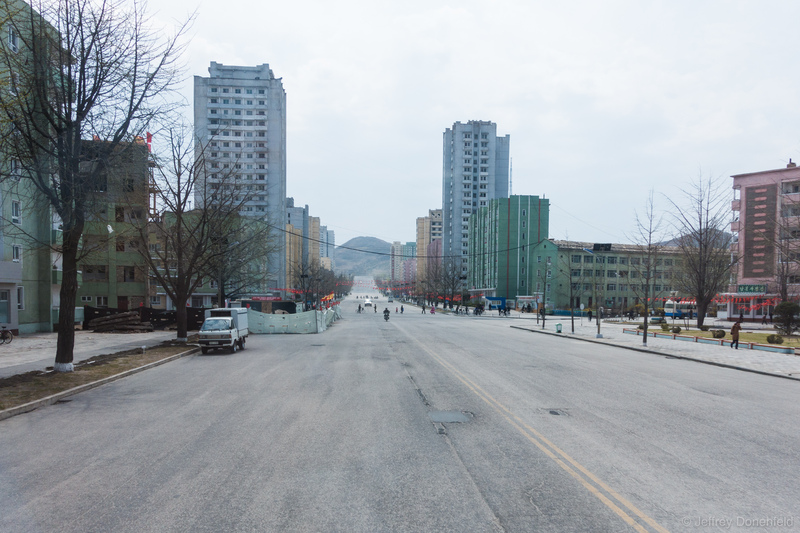 Kaesong in the south did have a bit of life – and was generally a bit more upbeat than Pyongyang – although there were still very few cars on the street, and it seemed almost deserted, except for a few decorations and people walking around.